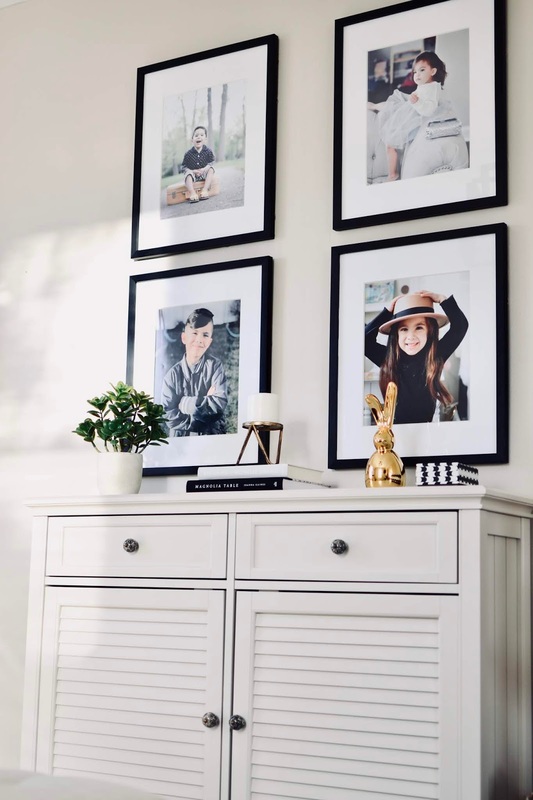 Decorating this family room was such a work of love between my husband and I. 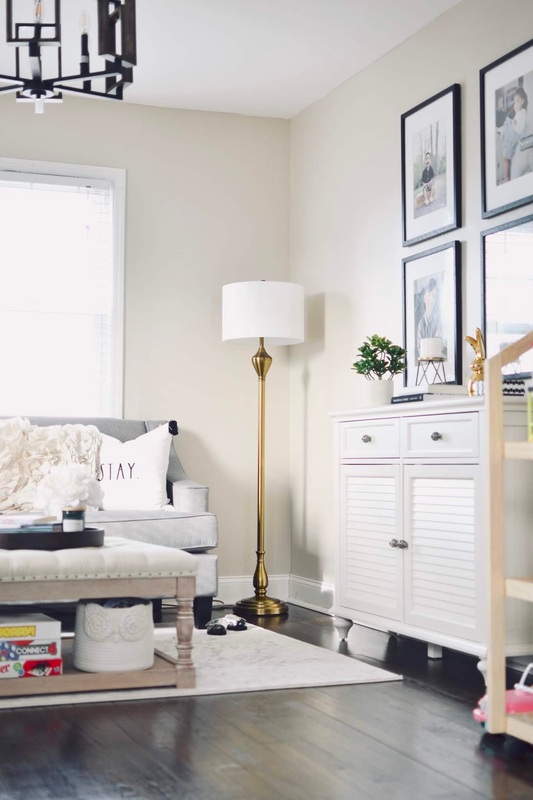 Even though the room is on the smaller side, we created the perfect cozy family room in a small space. It is homey, efficient and we truly L O V E it. Here's a little story about why we changed it up. 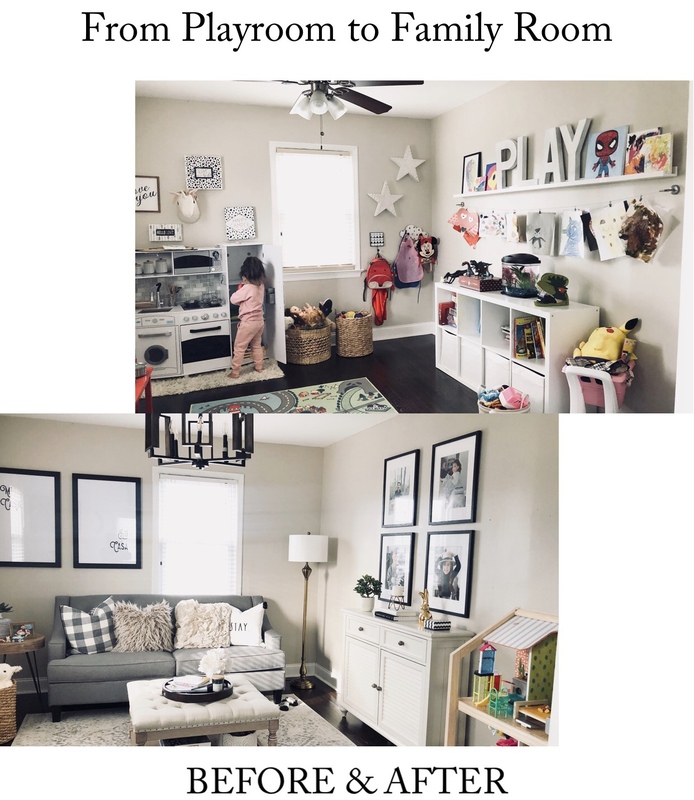 When we moved into this house three and a half years ago, it was my dream to create a playroom for the kids... and we did. We turned what was the formal dining room (adjacent to the living room) into a playroom. And in a short 3 1/2 years the kids grew and outgrew their "big toys". 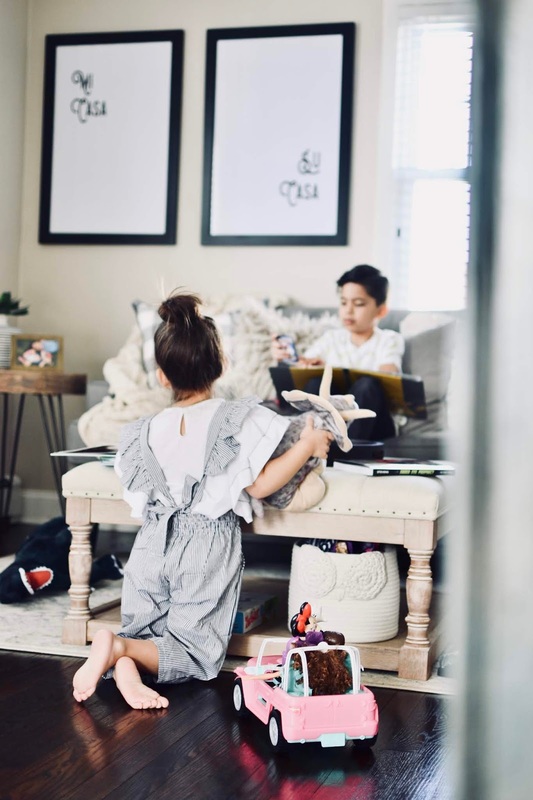 That's when Dave and I decided to turn the playroom into a family room, since the rooms in our house are small and we could use the additional sitting and living space. It was absolutely bitter sweet but to be honest, the toys that the kids play with are much smaller now and there was no need for an entire room just for their toys anymore. So we moved things around and got to decorating with the help of The Home Depot. Yes, you read that right, The Home Depot sells more than just paint and tools. I was happily surprised to see all the variety of furniture they sell while attending a Home Depot x Pinterest event last year. They sell everything you can imagine for the home. Most of the furniture items are sold online, this is why many of us don't realize they also sell furniture. In a nutshell you can literally build and furnish your entire home by shopping in one store! Thank you baby Jesus! 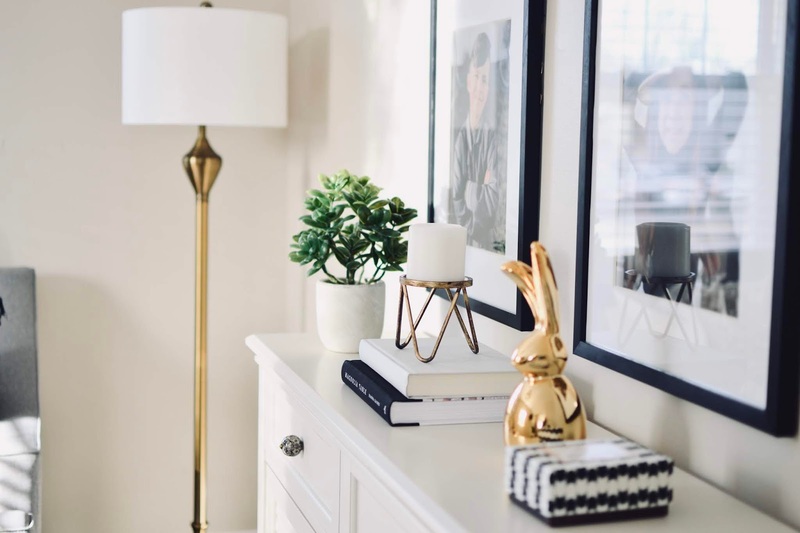 Oh and the best part, they have partnered with Pinterest to even help you decorate your home. They really thought of everything. 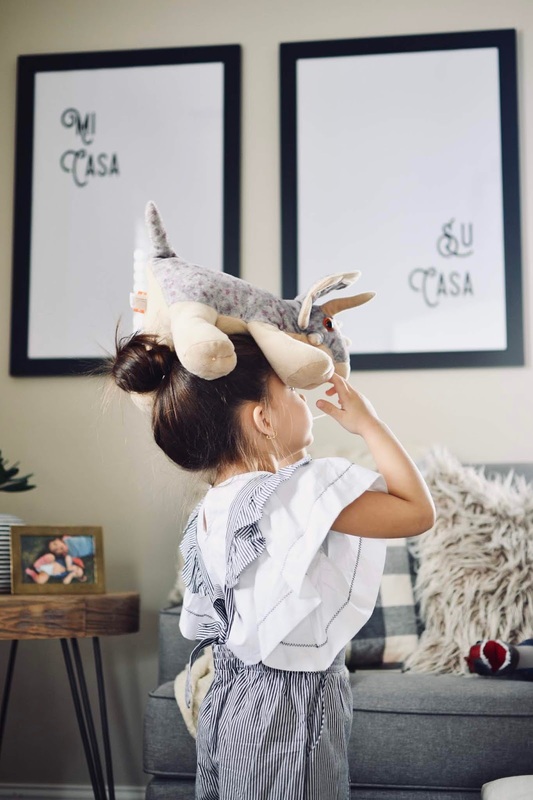 You can shop straight from the Pinterest app, no hassle. So when we decided to collaborate with The Home Depot I was ecstatic to get the entire process started. I wanted our actual living room and the new "family room" to be cohesive but still feel like different spaces. 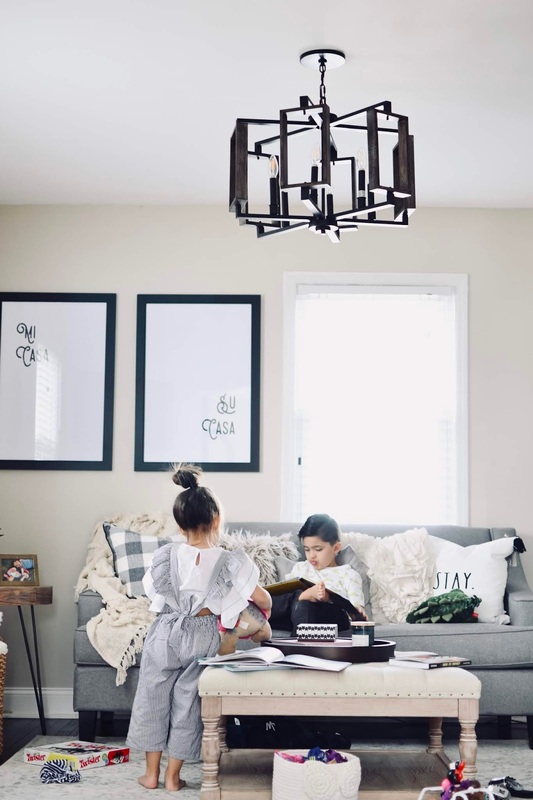 I wanted the new family room to be cozy and be all about FAMILY; that was my goal. I knew I wanted the colors to be gray, white, black and brown wood and we love the outcome. 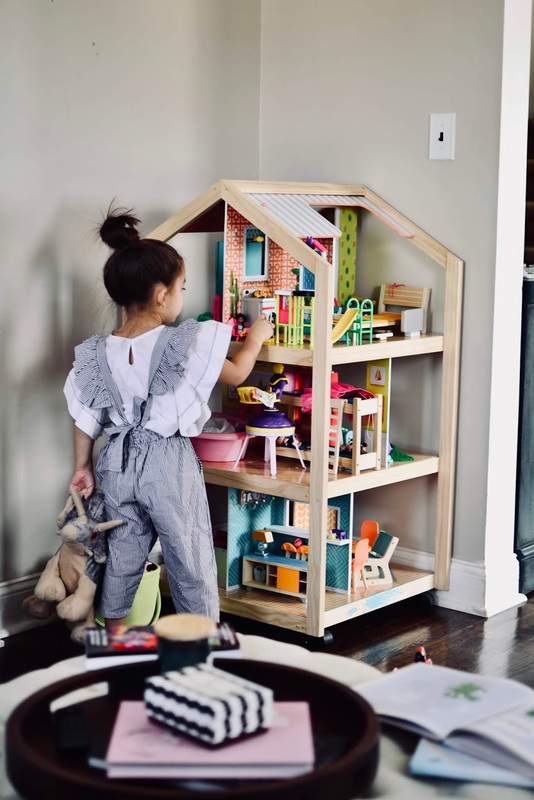 I'll be honest it took us a few months to get everything together because the room is small and I needed pieces that would be perfect for a small space but at the same time have enough storage for the kids' toys and books. 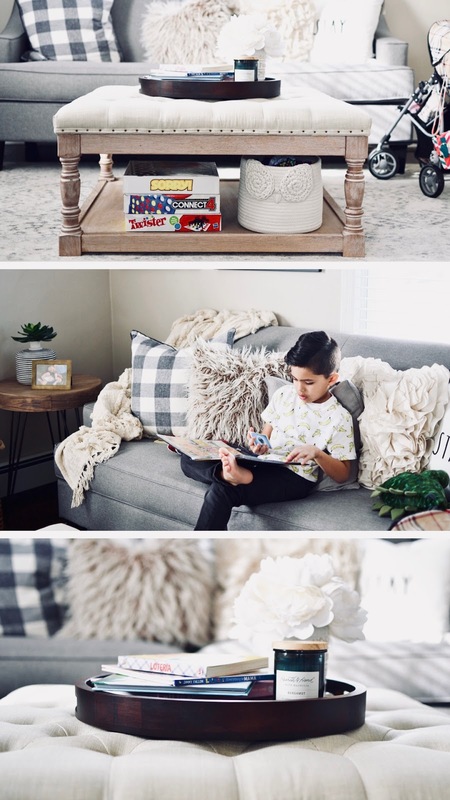 So without further ado, here is our new family room... Scroll to the very bottom for before and after photos as well as links to every piece we got from The Home Depot. 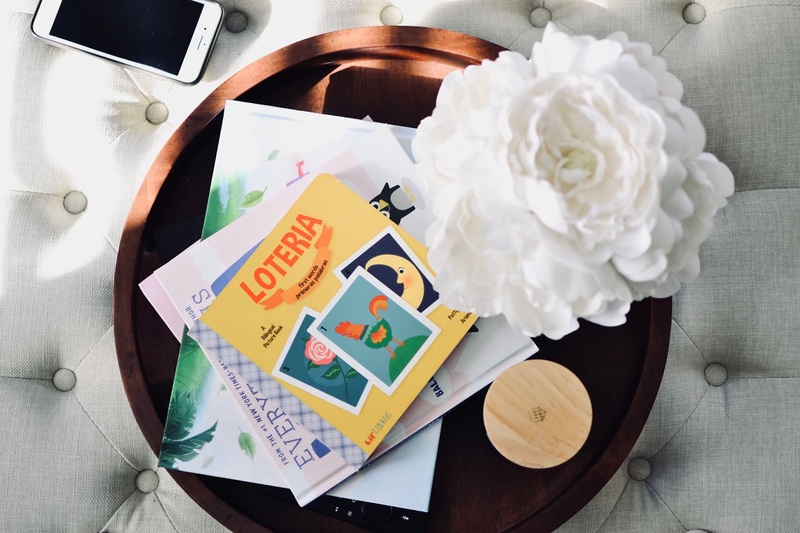 It was so important for us to make the sure the room felt cozy but also that it was useful and had lots of storage space. 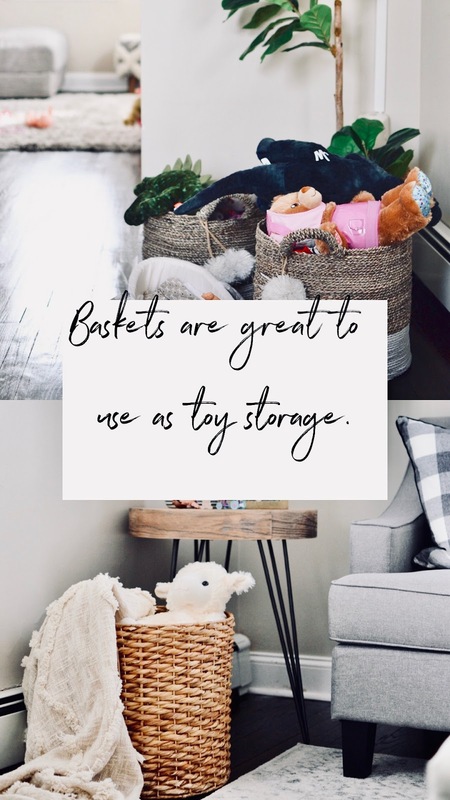 We purchased baskets to store toys and picked the coffee table because it's perfect for books, board games and you can even fit smaller basket for small toys. One of my favorite features of the room is the "Mi Casa, Su Casa" prints. As a bilingual family, our culture and language plays a huge role in our day to day life, so this piece was a must have for me. I purchased that print on Etsy, got it printed and the frames are from Michael's. And of course I couldn't leave you without the before and after photos. 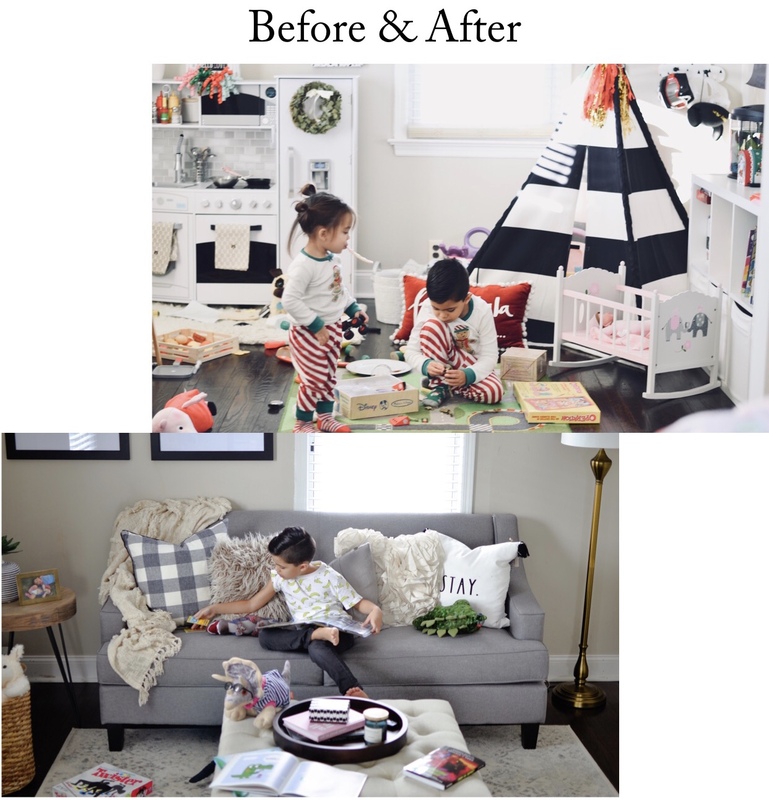 The kids look so little and I had so much fun decorating our old playroom. We used to switch it up all the time and the kids loved it, I love that we have so many pictures in it. Truthfully, being the cheeseball that I am, renovating this room made me cry a couple of times. I was a hot mess looking for those gallery wall pics, ask my babe. So what did we do with all the toys in the room? We donated a lot of it, we moved some around... the play kitchen went into our real kitchen and it's great in there. The tent is in the basement for now... the Ikea bookcase went upstairs to the hallway and Emme's doll furniture is in here little room. We feel really good about the redecorating... and we can hold on to the memories and photos forever now. 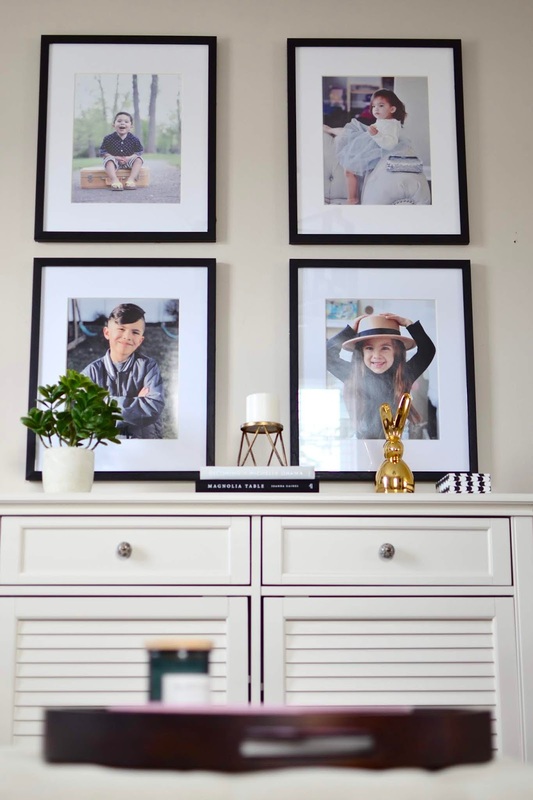 I really hope you enjoyed this little family room reveal and that it can serve as some inspiration. Dave and I worked so well together making our vision come to life for this room. It was a lot of fun and I am excited to finally be able to share it with you guys. Thanks so much to Home Depot for helping us create this room where we'll sure make lots of new memories. Thank you to The Home Depot for partnering with us for this amazingly fun project.